How does it feel to know you are the last of your community after two thousand years of history? To know there will be no more weddings, only funerals? In 70 CE, the Roman capture of Jerusalem and the destruction of the Second Temple scattered a wave of Jewish immigrants across the globe like the seeds of last hope. One group settled in Kerala, southern India. 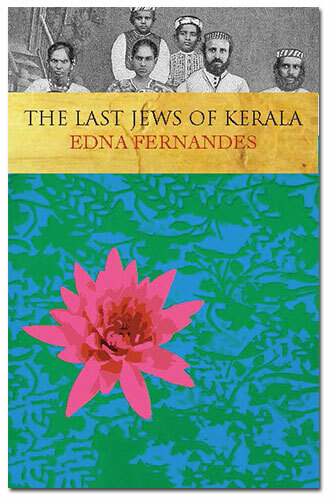 Feted as foreign kings by Kerala’s rajas and lavished with land, privilege and autonomy, they lived in peace for many years. But by the end of the twenty first century, despite finding acceptance in this Indian paradise, despite every advantage, they found themselves on the brink of demise. EF, London, January 2018. Available for interviews on her books. Edna is also available for talks, consultancy, film and writing projects. Fascinating and poignant… Readers interested in Jewish history will not be disappointed. A Sunday Times Travel Book of the Year, 2008.